A wizard's staff has a knob on the end! The LEGO Harry Potter 2 review! The LEGO franchise has officially become a staple diet in this generation of consoles. You don’t have to wait many months for the next Star Wars, Indy, Harry, Pirates, Batman, Bob, Keith … version of the game. In many ways they all play the same, but each has their own unique high and, unfortunately, low points. When I reviewed LEGO Harry Potter: Years 1-4 (LH1), I enjoyed the game, but was critical of the confused hub world and complexity in choice of magic. Did Travellers Tales (TT) take heed of my criticism, or did they instead compound their errors? 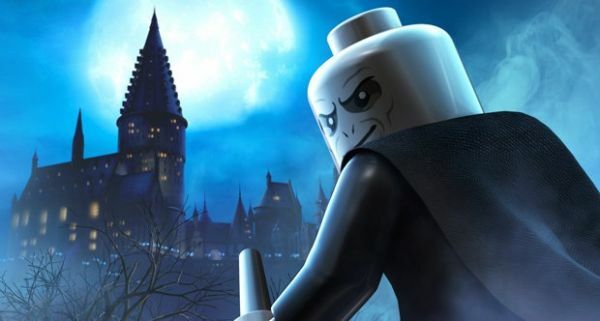 LEGO Harry Potter: Years 5-7 (LH2) starts of, like any other game in the LEGO universe, as a series of levels that take place within the IP of the game. This means that there are 24 levels that have players working together to build, break, lift and drop blocks within the last 4 Harry Potter films. Unlike in LH1, many of the levels in LH2 are set outside of Hogwarts, including such locations as the woods and Ministry of Magic. However, like in the previous game, there is still far too much retracing of steps as you walk round and round Hogwarts looking for the next room. As always the co-op within the LEGO games is decent, but not inspiring. The game is local co-op only and sticks with the more recent splitscreen method of the game that allows players to split up and move away from one another. This means that the game sometimes feels like you are playing two separate games within the same level – so many little treats are lost to one player as they are concentrating on something else. LH2 is also a little short on true co-op elements, such as requiring one player to lift another. The majority of the games levels can be done with the two players not really interacting with one another.